In the new year I'm hoping to find more ways to chat about simple things related to parenting here, on our Toddler Approved Facebook page, and in our TA Positive Parenting FB group. Today I want to talk about what you bring with you on errands or excursions with your kids to help keep everyone happy (and sane). I'm not talking about excursions like going to the children's museum (although these can work for that)... but rather excursions to the doctor's office, taking siblings to gymnastics class, etc. What's in your mom (or dad) backpack? As I was packing up my backpack the other day I started wondering how many other moms (or dads) use a backpack like I do... versus a purse or cute diaper bag. I have a cute diaper bag/backpack combo, but it is so uncomfortable! A year or two ago I finally just grabbed a real backpack and haven't looked back. It is so cozy and easy to throw on when I am running after my toddler! I always cringe a bit when I pack up my backpack because I am usually a bit overprepared. Some might consider my bag to be like Mary Poppin's carpet bag with all of the random stuff you'll find in it... although lately I've been trying to streamline it. After getting rid of a few things, I think I now have a pretty good checklist for myself of what to include... although it may vary day to day. Here are my 10 must-haves for my mom backpack for when I am out during the day. I'd love to hear what your must-haves are too... since they are probably totally different than mine. PS- I'm skipping the obvious things that are necessary with a baby or young toddler (diapers, wipes, a changing pad, and hand sanitizer). I love it! 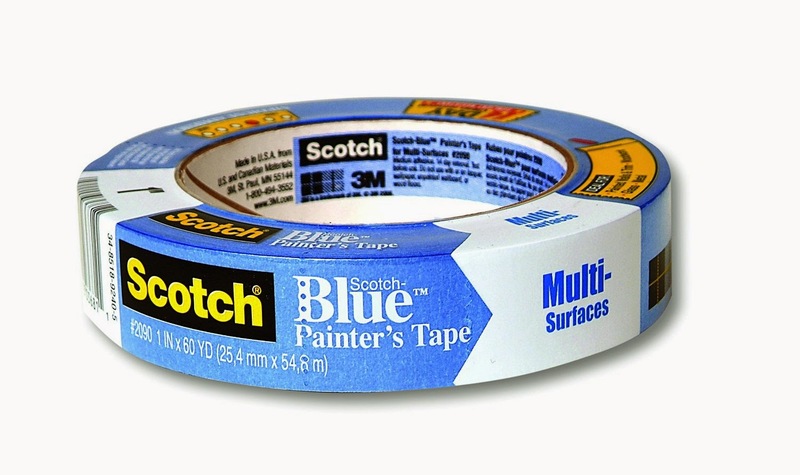 Painter's tape is so versatile. It makes it easy to make things like car raceways on the hotel floor or on a chair while we are waiting at the doctor's office. It also pulls up easily and rips easily... so I don't have to carry scissors. Sometimes I'll just rip off pieces of tape and the kids can create masterpieces on walls on their pants or just make a giant ball of tape. A little ziploc bag with a toddler busy bag activity or two can perfectly fit into my backpack. I try not to bring more than one or two. A mini felt faces set or a felt caterpillar set are both fun ones. I also love just bringing a bag of pipe cleaners, velcro craft sticks, or a button snake. It is always lame when I forget this one since I usually end up being the one needing a band-aid. In my mini first-aid kit I like to have antiseptic wipes and band-aids. I like to try and keep an advil or tylenol for me too. We live in the San Francisco Bay area which means that we can drive 20-30 minutes and be in a complete different climate. If my kids are wearing short sleeves and shorts then I like to keep a set of long sleeved shirts and pants in my backpack for each of my two littlest ones (ages 4 and 2). I never seem to remember extra clothes for my 6-year-old... or myself, but that might be smart if we were gone for a full day. I always bring extra underwear for my daughter (and socks) since she still ocassionally has an accident or someone pours a water bottle out in their lap while we are driving. I always like being prepared. Sometimes I might bring two outfits for each kid. I always try to remember water when we are out for the day. 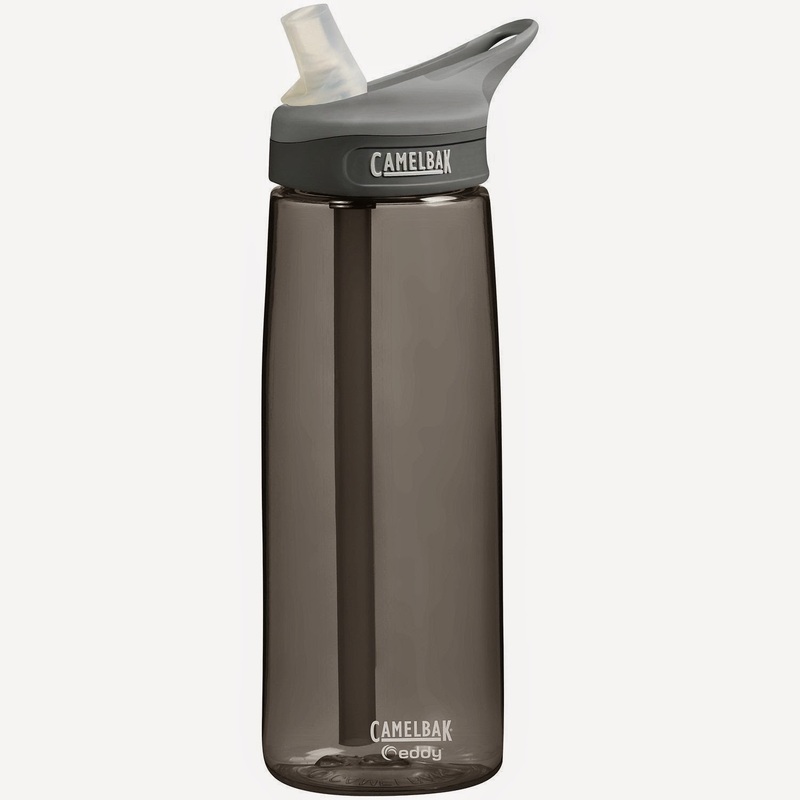 If I can fit one for each kid (or even grab mini plastic water bottles) that ends up making everyone happier, but usually I just bring one Camelback and we all share. I try and keep several plastic water bottles in our car so we are set if we get stuck in traffic or can't find a sink or a drinking fountain. Undoubtedly the doctor will be running late once we get stuck in the tiny waiting room with nothing to do... or we will wind up hitting traffic at the worst time on the way home from a day trip. I love having some of our favorite little board books to pull out when kids start getting crazy. 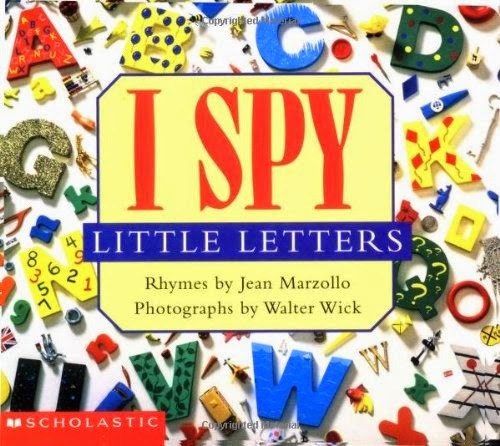 Lately a few favorites have included I-Spy board books, Dear Zoo: A Lift the Flap Book, and My Big Train Board Book (this one is bigger but so awesome that I'll bring it anyway). I like to rotate the books in my bag quite often so that we don't get bored. I usually keep 2 in my bag. Hot wheels are our favorite. I always have at least 4-5 cars in my bag since all of my kids can have fun playing with them. If I am feeling nice and I know we have a wait somewhere or we're going to someone's house who doesn't have toys I might also stuff in our car track pack. If we don't use the car track then we sometimes just use our books to make car ramps. My husband got me a micro power pack for Christmas that clips on my keychain and can charge my cell phone if the battery dies and it can also find my phone if I lose it (which happens all the time). Before that I had a regular power pack that I always carried around for emergencies. 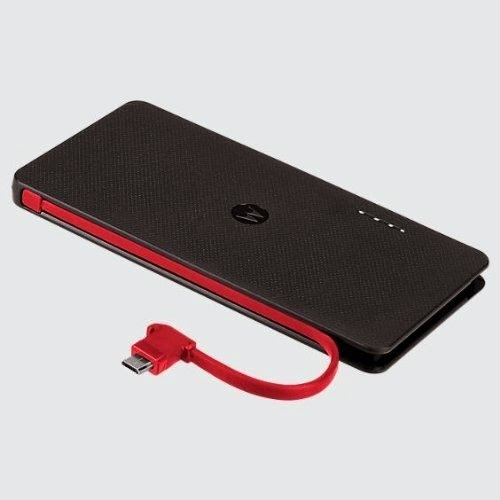 This has been SO HELPFUL when we are gone all day and far from home and my battery is dead and I still need my phone for some reason or another. This is probably my favorite item on this list! We either keep re-usable sticker books (or sticker playsets) in my bag or else we just grab a mini pack or two of dollar store stickers and they can keep kiddos having fun for awhile. If my toddler is bored I can just stick stickers on his arm or his shirt or on a chair and then he pulls them off and then we do it all again... and again. I can also stick the stickers on the tips of my fingers and pretend that they are little puppets. I tell a story and the kids are entertained and happy... or we switch and I am the audience and their hands become the puppets. 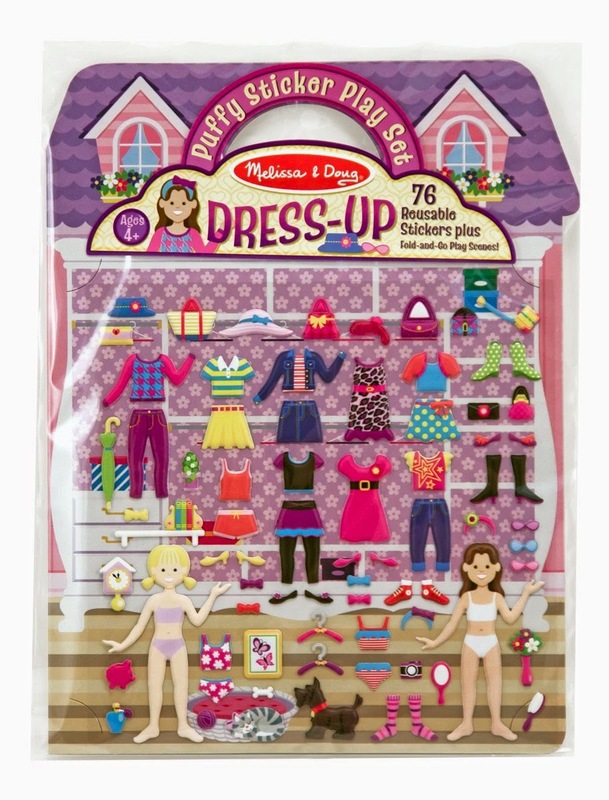 My 4-year-old loves the Melissa and Doug sticker playsets. These are for me and the kids. When we are running around on errands or carpooling kids places it is nice to have a stash of snacks to stave off hunger and help us avoid buying snacks we don't need or taking a quick detour through a drive thru. I like to keep granola bars in my bag along with crackers and raisins. I usually also keep something sweet in my bag (like fruit snacks, a starburst or two, or a handful of M&Ms) for an emergency grumpy mood adjustment... usually for me. Alright... so I could probably keep going, since I tend to overpack. I'm curious though... what do you pack? 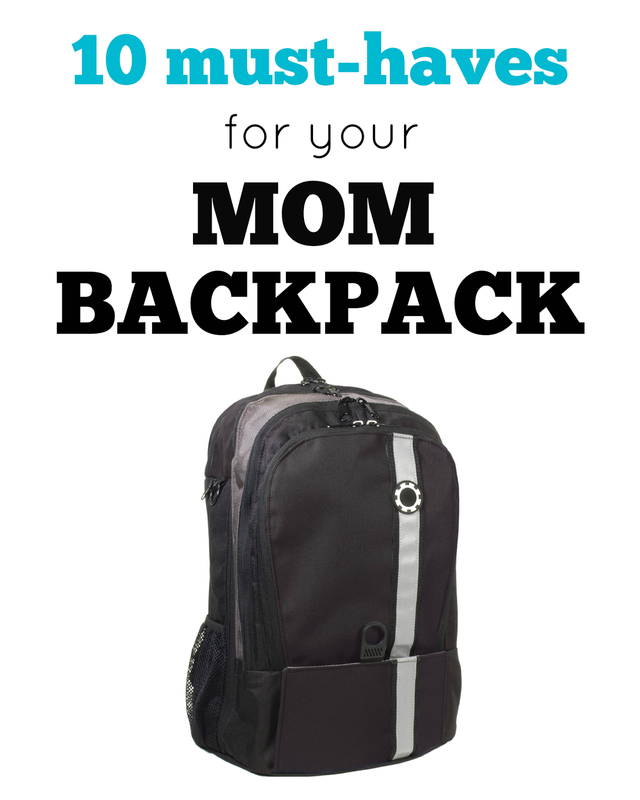 What are your must-haves for your mom (or dad) backpack? Do you overpack like me? Underpack and just bring wipes and a diaper like my husband? Are you a purse or diaper bag person or do you use a backpack? Anything else I should add to my must-have list? I always have the kids insurance cards and some emergency phone numbers as well in case I need them. A good Carrier for baby or toddler - I have a toddler Tula....you never know when you're somewhere with lots of stairs and can't bring a stroller, or you need to strap in a toddler to prevent him from running around some office or store or when they need to be soothed for a nap. I also bring sun hats, sun screen, and toilet seat covers for when my 5 year old needs to use a public restroom. Extra cash in a little pocket is also handy in case I accidentally leave my wallet at home and a small deodorant in case I forget in the morning rush out the door.